While the most of teachers were enjoying their holidays, others participated in an English Camp with an intensive program, in order to improve their language skills and be able to apply them to their bilingual classes at school. This was the case for Fran and I. 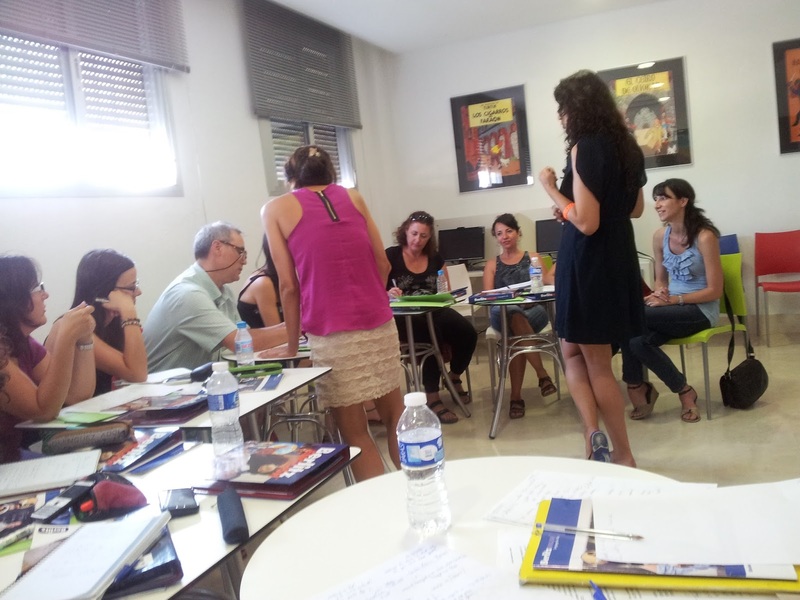 It was about a camp organized by the Consejería de Educación de la Junta de Andalucía and led by a prestige English learning company called Berlitz. 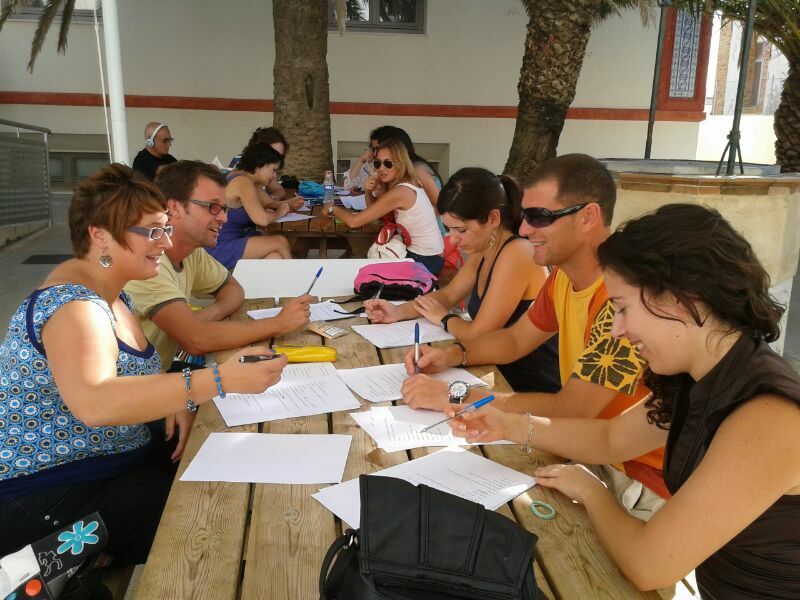 It took place in Chipiona and there were around 60 people, divided into four English groups and one German group, with two native teachers in each group. Teachers were from many English speaking places: Miami, New York, London, Oxford, San Diego, Brighton, and so we could compare the differences in accents, including American and British English too. They were hard-working people and also friendly with us. That’s why they deserve recognition. Taking into account that we studied a lot, we also enjoyed our free time, almost always speaking in English, of course. We could go for a swim after lunch and before dinner, not for much time, but the camp invited us to spend time at a fantastic beach. After dinner, we went out and enjoyed seeing beautiful landscapes from the promenade. We got to know the rest of the participants, teachers, and had the opportunity of learning through our colleagues' experiences and teachers’ lives. In conclusion, we spent many hours practicing and improving our English in a paradisiacal context. We took advantage of the resources and people around us and we are looking forward to applying this knowledge to our classes. I would like to end this essay congratulating the organization and the Junta de Andalucía for their work. This kind of program is really worthwhile.